There’s a very old joke. A lost tourist in Manhattan asks a passerby, “How do you get to Carnegie Hall?” The grizzled New Yorker says, barely stopping, “Practice, practice, practice.” No one could accuse the performers for the coming jazz, pop and world music series at Carnegie Hall of skipping on rehearsals. The storied venue has announced its shows for the 2017-2018 season, including some excellent and even unexpected jazz shows. 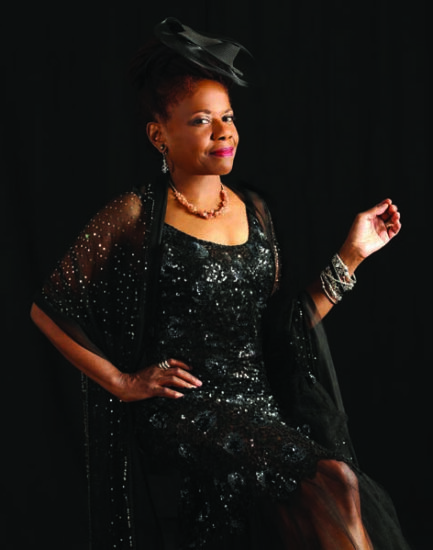 The season starts, at least for jazz fans, on November 3 when Catherine Russell, daughter of the legendary orchestra leader/piano player Luis Russell, will celebrate the golden age of Harlem with tunes, at least according to the press release, inspired by Ethel Waters, Billie Holiday, Dinah Washington, Fats Waller, Benny Carter, Irving Berlin, and others. That’s a whole lot of inspiration, but the kind that the versatile singer can handle. Carnegie is presenting a special series—The ’60s: The Years that Changed America, inspired by author and historian Robert A. Caro—that will take place at venues all over the city, all celebrating that tumultuous time in American history. On January 27 the Matthew Shipp Trio will perform for the first time with one of the founders of the AACM—saxophonist Roscoe Mitchell—in a set that is likely to harken back to the early days of free jazz. Another show with ties to the ‘60s is a perhaps surprising collaboration between Snarky Puppy and rock singer-songwriter David Crosby who somehow survived that decade and four more after that. The popular jazz-funk-rock band has been working with Crosby since the singer sought them out as a fan of their music. The performance on January 25 is expected to include very interesting versions of protest songs. On April 28 in Zankel Hall, bassist John Patitucci leads his quartet celebrating his Brooklyn roots. For more on that project, read Aidan Levy’s piece here. Single tickets for Carnegie Hall presentations go on sale Monday, August 28 at 8:00 a.m. (with an early on-sale date of Monday, August 21 at 8:00 a.m. for subscribers and donors). Tickets can be purchased at the Carnegie Hall Box Office, by phone at CarnegieCharge (212-247-7800), or online at carnegiehall.org. Subscription packages are currently available.